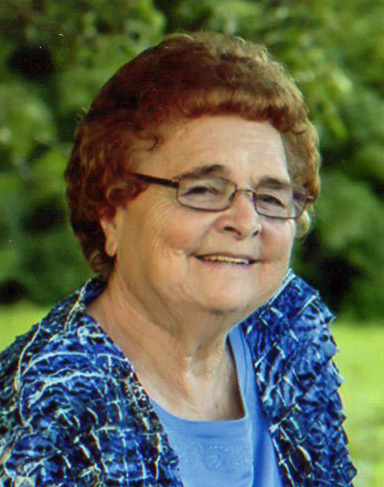 Hilda Massey Brantley, 82, was the daughter of the late David & Gussie Debnam Massey. She graduated Middlesex High School in 1954 and was head teller for Peoples Bank, later, RBC Centura. She was a founding member of the Zebulon Rescue Squad, and member of Union Hope Baptist Church. Hilda never met a stranger & she loved people. She was preceded in death by her husband of 59 years, Jerry Mack “Short” Brantley, and children James Brantley, Mary Anne Brantley, & brother, Douglas Massey. Graveside service 2 pm, Wednesday, Gethsemane Memorial Gardens. She is survived by her daughter Brenda Creech (Gary) of Zebulon, sister, Jane Denton (Bobby), daughter-in-law, Lisa Brantley, grandchildren, Alana Liles, Erin Creech, Jenna Brantley (Chris), Zack Creech (Nicole), Erica Bosford, Katelyn Bosford; the lights of her life, great grandchildren, Kennedy Page, Rebecca Liles, Kendall Page, many special nieces & nephews. Flowers welcomed or memorials may be made to Dementia Research or Transitions Lifecare. We are so sorry for your loss. Hilda was a sweetheart! Praying you all feel the peace and comfort of our Lord Jesus. Wishing the family love and peace at the loss of their beloved matriarch. Nothing like the love of a mother, grandmother and great grandmother. Know she is now at rest, whole and without pain. Blessings to all. Ms Hilda was one of the first “older” people I met when I moved to Zebulon in 1981. She was my favorite teller at the bank. I later got to know James and Merd through Welton and Tammy Sue. Whether Ms Hilda was at work, church, home, pool or ballfield, she was the same loving, happy woman. The world was definitely better for her being in it. Love and prayers to each of you.